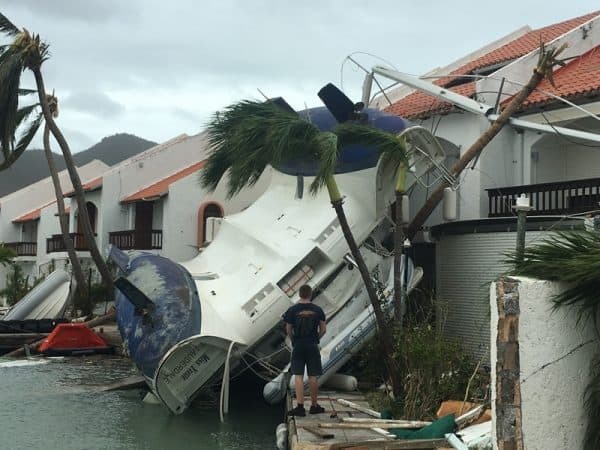 Lucy and the team of LV Yachting are shocked and saddened by the devastation that has taken place in the Caribbean in the wake of Hurricane Irma. These Islands hold a very special place in our hearts, we have been sailing and racing in these waters for so many years it truly is a second home for us, and so many of our sailing family. It will take many months to understand the full effect of this hurricane. In the short term we can support with financial donations, to the Red Cross and other charities supporting those most in need. But in the long term it is imperative that their economy has a future and that the Islands are kept alive. These islands are dependent on our tourism and as sailors we can do this by supporting the Caribbean regatta season and booking our holidays. Accomodation may be difficult, the selection of boats might be reduced, but if you can, go to the Caribbean this year and spend out pennies in their bars restaurants and shops. This will fund the rebuilding of our much loved Caribbean for a long time after Hurricane Irma has left our memory. We have set up a Just Giving Page to support the Red Cross and those in need in the Caribbean. Please help us support those in need in the Caribbean!